This is the first in what I hope will be an education series of features on the basics of audio from our guest writer, Yuri. Today’s topic is really the building blocks of audio and that is all about audio physics. Basically what drives all our audio gear to work and create sound. Yuri is an automation engineer with a specialism in telemechanics and communications. He has also worked his way up from engineer rank to a team lead in a radio communication branch over the course of the last 17 years. In 2007 he founded the Audiophile Inventory project which is an audio conversion software since 2009 which you can try for free online at http://samplerateconverter.com. 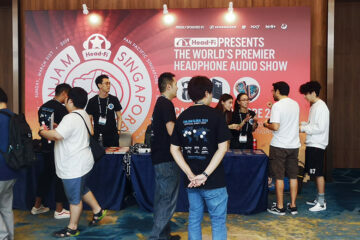 Please note these articles are currently available on Yuri’s website and he has very kindly agreed to allow us to republish them for you guys to digest on Headfonics. These articles will introduce you to the fundamental electrical theories that underpin how audio generally functions in relation to the gear we use such as amp, cables, and headphones. These bases are just for the understanding of electrical schemes and their related properties. Digital signal processing or DSP is also based on physics of electricity. An in-depth discussion of the physics of electricity is much too complex for web consumption. In this article, we have simplified our points on electrical power and audio physics in general for easier understanding to the newcomer. However, it should be broad enough to not only to explain how electrical schemes work but also provide you the basis for some of the engineering thinking behind designing electronic devices such as amps and also audio software. Electricity is a field that can move electrons. The field is the difference in voltage levels. The difference creates a “mechanical” force that moves electrons. Let’s look example that well known to everybody. If a ball is lying on the ground, it has zero voltage. 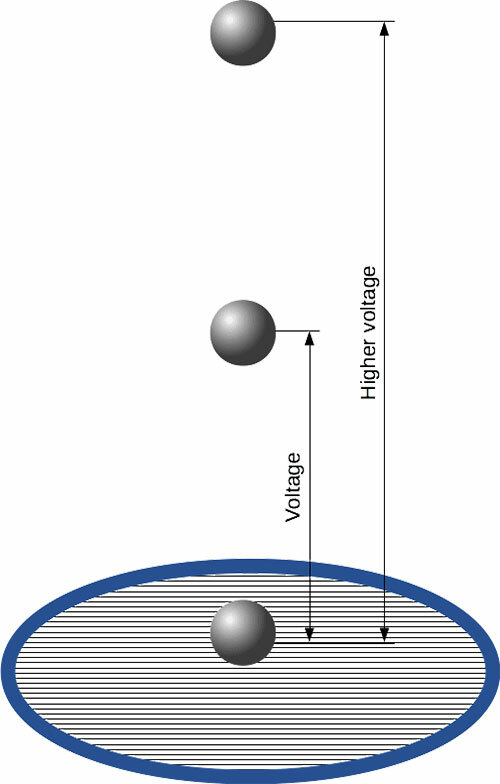 If we lift the ball above the ground, we can consider the difference between the lifted ball and ground one like «voltage». Voltage is the potential of an electron, like the potential of a ball that held in your hands above ground. If we release the ball, it will fall to the ground due to the voltage. The ball will hit the ground at a certain rate of impact. If we lift the ball higher than before, it will drop further and gain more speed and this will hit the ground with more impact. So, in effect, the higher the position the higher the voltage. In this example of the ball, gravity is operating much like an electric field. Voltage is called as U. An audio signal usually considered as altering the voltage over the course of a period of time. Those who use oscilloscopes will be quite familiar with measuring the voltage over instances of time and what to draw from the instance that is captured on the screen. By the existing theory, electrical current is the moving of electrons. The voltage causes the moving from a higher potential point to a point with a lower potential. Electrons thus move across wiring much like a pipe. Let’s imagine cross-section (ring) inside the pipe as shown in the picture. The ring is infinitely thin. The number of the electrons that can pass through is measured as an electrical charge. Amperage is the charge that pass thru the ring per second. The amperage is called as I. This particular type of current is considered direct current. where the current moves in a single direction. In next time moment point B will have a higher potential than point A. Electrons thus move in the opposite direction from the point with higher potential B to the point with the lower potential A. It is now what we call an alternating current. Let’s pay attention to the potentials again. There is one subtle detail we need to take note of. For this, we will use the example of a simple battery design. On the battery, we can see 2 contacts “+” and “-“. 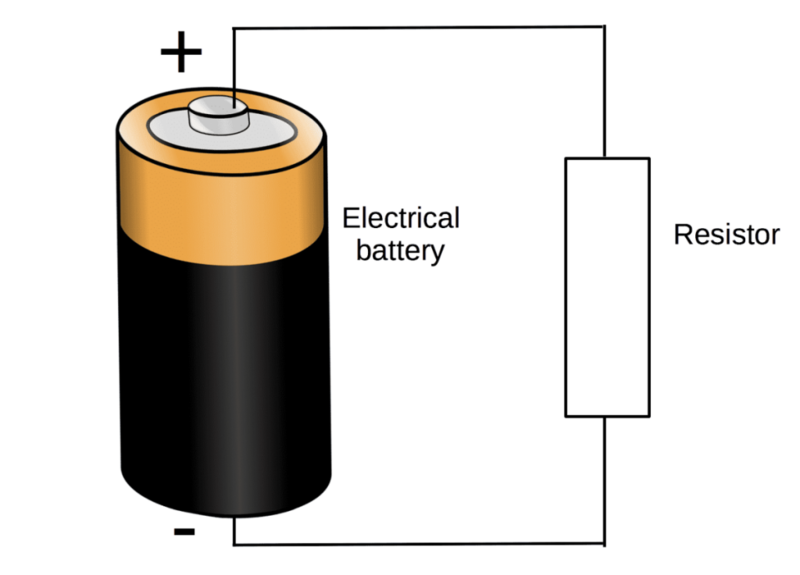 On the battery’s body, we can read 1.5 V. This means that the voltage (difference of electrical contact potentials) between “+” and “-” is 1.5 Volt. Mathematically potential “+” (positive potential) is more than “-” (negative). Electrons should move from a higher potential to a lower one: from “+” to “-“. However, electrons are negatively charged particles. So, in reality, they move from “-” to “+”. It is the reason why negative contact should be disconnected when an electrical device is turned off. But when we learn electrical schemes, we consider “virtual” positive particles, that moves from “+” to “-“. Therefore, we need to follow context when we discuss the electric current direction. So how are voltage and current are bound together? For this, we need to discuss electrical resistance. When we considered electrical current, we looked to electrons the moved across the «pipe» (wire). In all things, I have described in this article, it doesn’t tap into the depth of what can be discussed regarding physics simply because particle theory is quite complex. However, what comes next is a simplified process to help those who are not familiar with the topic to quickly understand. The”pipe” (wire) we talked about earlier is not an empty construct. It contains a crystal grid otherwise known as a wire’s molecular matrix. Electrons basically “stumble” around and through this grid. Grid acts as a point of resistance to the electrons movement. When electron “stumbled” by grid or resisted it creates physical heat. The energy of electrons are actually converted to heat via this grid. The higher the resistance the more of the energy of the electron is converted to heat. The resistance is called as R.
How do voltage and current relate? In order to be able to understand an electrical scheme, we must first consider a stream of “virtual” positive particles (further “particles”) from “+” to “-” at the power source. Let’s study a basic electrical scheme. If we remember voltage is the potential between 2 points or the two contacts of the power source (battery). The potential creates force that moves the particles. The greater the potential, the more force and thus the faster the particle speed. A scheme is basically a closed loop. Particles move from “+” to “-” of an energy source (battery). 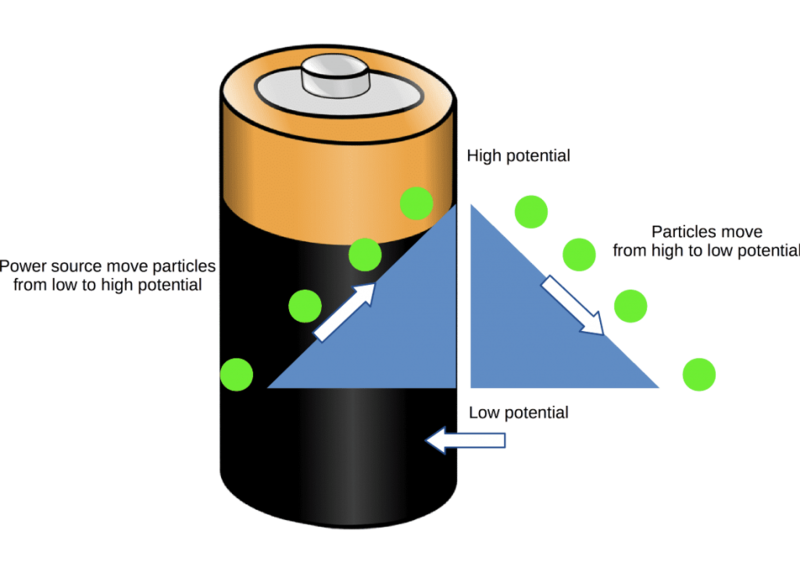 Inside the battery, the particles are moved from “-” to “+” through a conductor. For such “unnatural” movement the energy of power source will be easily spent. It is a bit like climbing the mountain in that respect. Further, the particles “naturally” move from “+” to “-” out of a power source again (akin to coming down from the mountain). Therefore, the particles move through a closed loop allowing the power source to retain its potential and internal particle transportation ability. When particles move down from the “mountain”, they get “resistance” (ohms) from the crystal grid. The resistance thus will limit the speed of the particle movement. Fewer particle numbers will pass thru the wire in the same time period, i.e. higher resistance (ohms) will lead to a lower amperage. To increase the amperage we simply increase the potential or reduce the level of resistance (ohms). 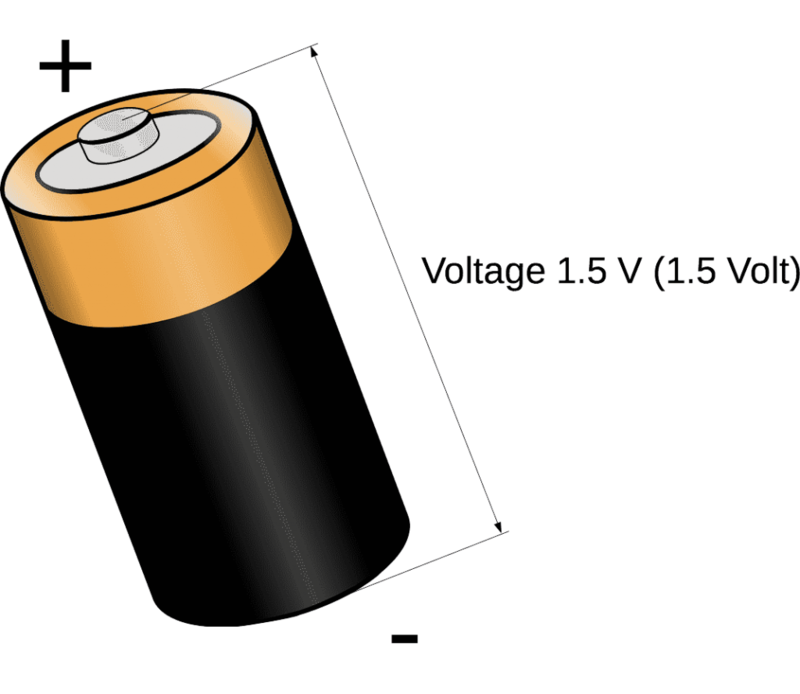 I = V / R.
Voltage can be increased in a number of ways such as adding more batteries. Resistance or ohm level can be reduced by the choice of wire’s material replacement or increasing the radius of the wire (pipe) in which electrons can pass through. The smaller the wire strand, the higher the resistance level, for example, 26AWG is more resistive than 22AWG as it is a smaller gauge. Power, energy, voltage, current and resistance are all linked. Electrical power is electrical energy measured per second. In an electrical device, the energy is converted to other types of energy: mechanical, light, etc. The rest (or most of part for many kinds of electronic devices) of the electrical energy is converted to thermal energy via resistance. When we reviewed voltage we discussed that voltage is potential, that can cause movement of charged particles (electrons). When charged particles under voltage, they have potential energy. When no voltage, the particles have no electrical energy. When the particles move under voltage, they have kinetic energy (energy of movement). Electric energy that moves across the wire generates the magnetic energy. But the electric energy will be consumed if a closed wire loop is placed in the magnetic field. As an example, a metal ring is placed around this wire. Current in the ring flow inside the metal ring and energy is consumed from the electric wire via a magnetic field. Consuming the electrical energy (and current respectively) in the electric wire is increased. More current – more energy is lost at the electric wire for heat. To the energy calculation signal’s “level of voltage” must be converted “level of power”. Where power = [level of voltage]2 * Resistance. 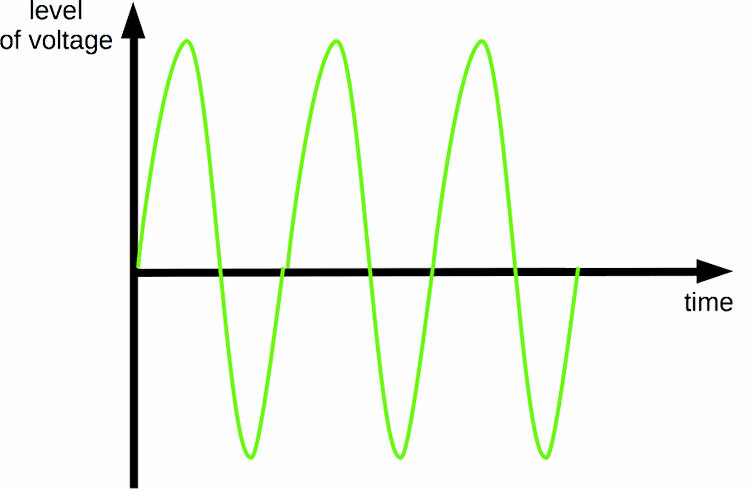 For digital signal processing the resistance may be accepted as 1. 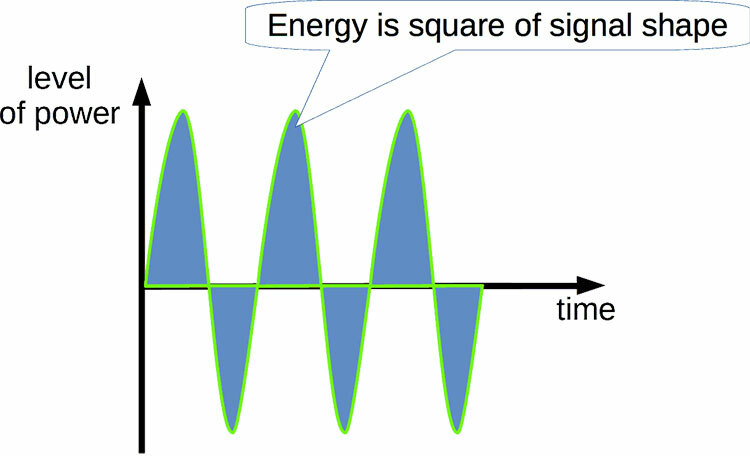 So energy is calculated as square of signal power shape. Power is electrical energy per second. 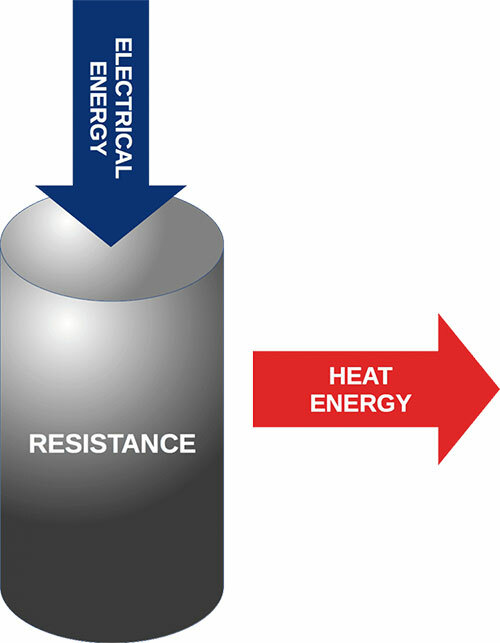 Resistance limit current for given voltage and convert electrical energy to heat. 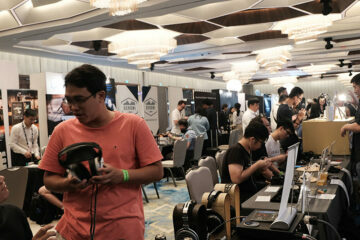 Let’s look to electricity from practical audio point of view. An amplifier get its input voltage from a DAC and generates alternate current in the wires of an acoustic cable which are connected to speakers or a headphone. The current flow through the wires in a speaker or driver coil. In the coil alternate magnetic fields will appear. The magnetic field moves the driver which in turn moves air. We thus hear sound that is creating through the movement of air. Electrical energy of the amplifier is spent to heat and the mechanical movement of the driver. In the digital domain we consider “virtual” voltage values, that will generate real voltage in DAC. What about DSP and electrical energy of audio signal? When we analyze dynamic range, overload, noise level, signal-noise ratio we refer to energy in signal frequency band rather than amplitude. So us need to remember that electrical energy is geometrical square of power. It allow us to easily operate in time (oscillogram) and frequency (spectrum) domains. We can see, that electrical terms used not only in hardware design, but in digital signal processing too. Knowledge about electrical energy allows a better understanding of well known terms such as dynamic range, overload, noise level, etc. and the relationship between these terms. Audio digital signal processing is a mathematical representation of the real electrical processes that occurs as described above.